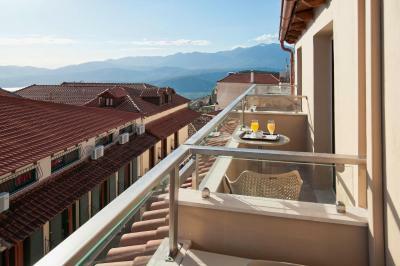 Lock in a great price for Parnassos Delphi Hotel – rated 8.7 by recent guests! It’s right in the center of the town. Places to eat nearby. We were able to walk to the Archaeological Site of Delphi. Hospitality, very welcoming and helpful! The 24h reception. They took us in at 1AM with just a 10min prior call !!! Help with the parking. Good breakfast. Good locaion, but otherwise non-descript but perfectly serviceable tourist hotel close to main sites. Friendly and hospitable staff. The gentleman at breakfast went above and beyond to take care of us. There was a very noisy group of teenagers that kept us awake until 4am. To make up for the problem, the hotel did not charge us for that night without even being asked. 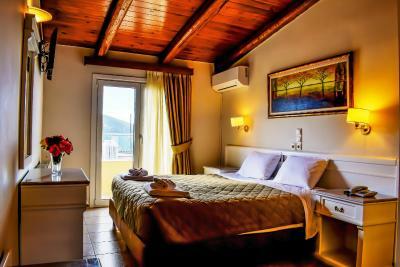 Warm and spacious rooms, comfortable beds, great view, good location, nice staff. 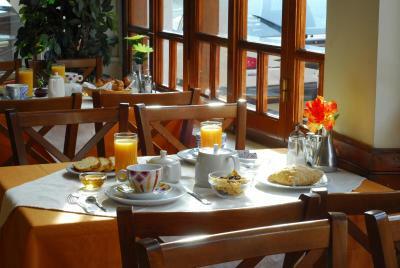 The variety of the breakfast was great and tasty. There is also a fireplace in the living room of the lobby which made the atmosphere cozy and nice to stay for a drink. Breakfast was fantastic, with great variety and warm bread! 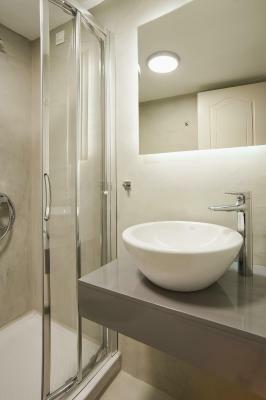 Facilities were spotless, and the staff was great. 10-minute walk to the Archaelogical site and museum was a bonus! Stayed in two connected rooms. They have similar average size both with twin but really comfortable beds. 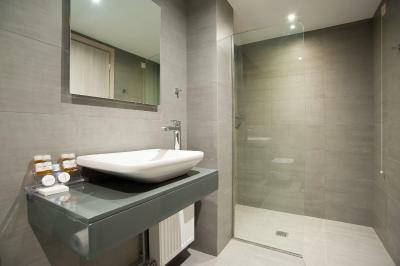 Both have also flat tv while bathroom is located in one room and the wardrobe in the other . 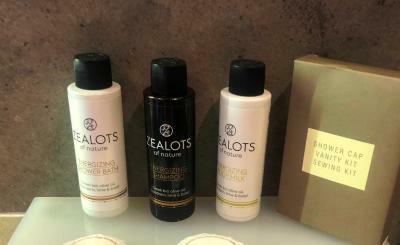 They were extremely clean, provided shampoo and shower gel as as well as slippers. 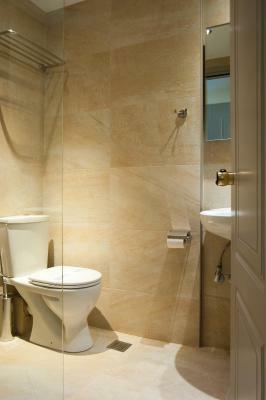 Central heating was turned on until late in the evening while you could boost it with air-conditioning too. 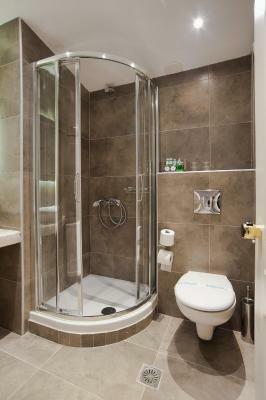 One small detail, hairdryer should be in the same room with the bathroom. Breakfast had a very good variety. Good location. Breakfast was just correct. Staff is very nice. Everything. 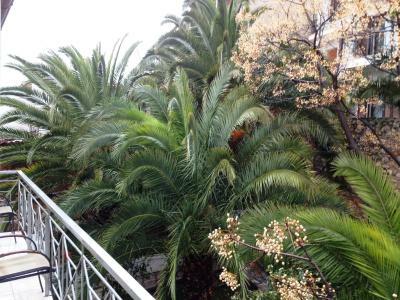 Spacious and clean room with a balcony overlooking the sea. The owner wery courteous . Excellent breakfasts. Great position close to the museum and the ruins..I do recommend this lovely hotel. 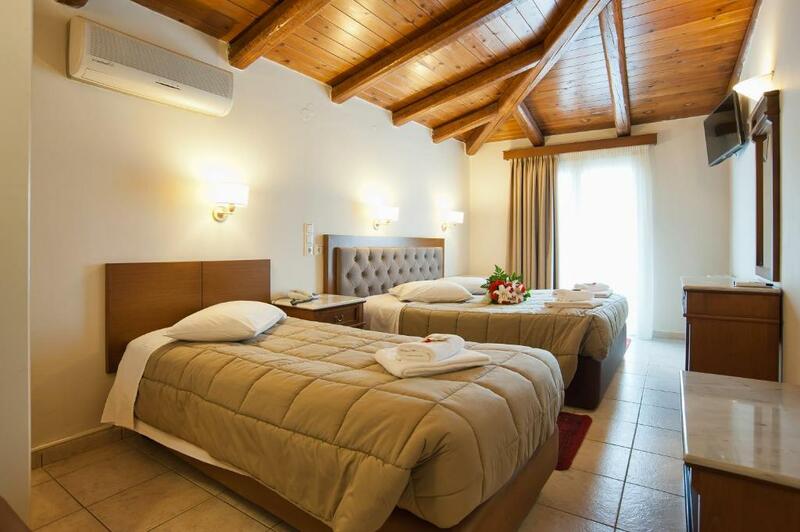 Parnassos Delphi Hotel This rating is a reflection of how the property compares to the industry standard when it comes to price, facilities and services available. It's based on a self-evaluation by the property. Use this rating to help choose your stay! 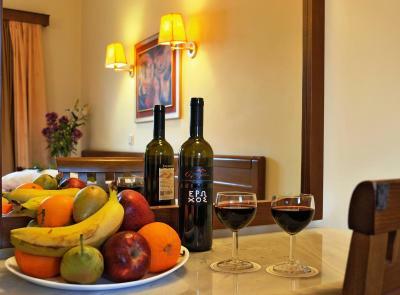 Centrally located in the heart of Delphi, Parnassos Delphi Hotel offers spacious accommodations with free Wi-Fi throughout. 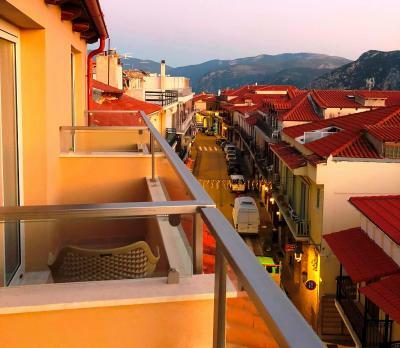 It is located less than 1,650 feet from the museum and archaeological site of Delphi, the Delphi bus station and taxi station. The inviting rooms and suites feature wood-beamed ceilings and elegant furnishings. 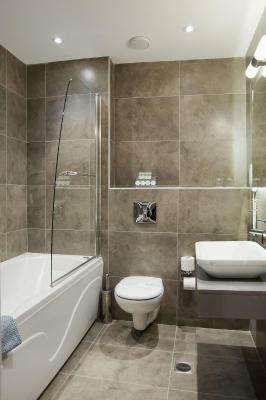 Each is equipped with flat-screen TV, CD player and individually controlled heating and air conditioning. 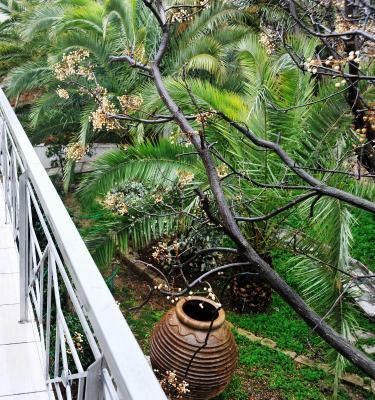 The well-known à la carte restaurant Epikouros serves a variety of fine Greek and Mediterranean dishes. 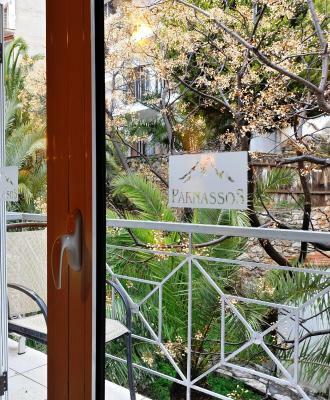 Parnassos Delphi Hotel is an ideal base for exploring Mount Parnassos by skiing or hiking, or walking along the E4 path that takes you to the beach or the Corycian Cave of Pan. Guests can also visit Arachova which is 5 mi away or enjoy the picturesque village of Galaxidi and swim in the beaches of Itea. 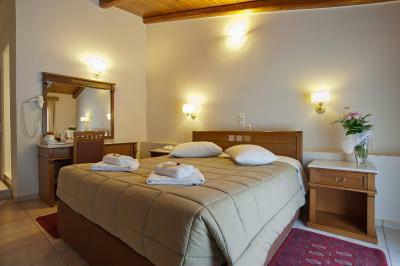 When would you like to stay at Parnassos Delphi Hotel? 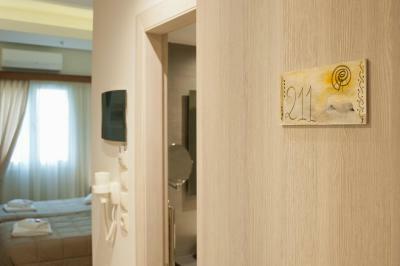 Warmly decorated room with flat-screen TV, individually controlled A/C, safe and free Wi-Fi access. 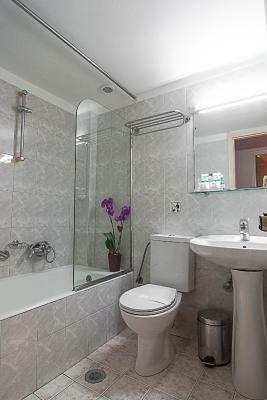 Warmly decorated room with flat-screen TV, individually controlled A/C, safe and a fridge. Free Wi-Fi access is available. 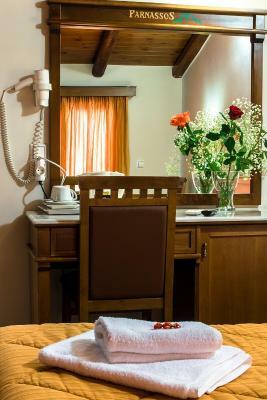 Warmly decorated suite with flat-screen TV, individually controlled A/C, safe and free Wi-Fi access. 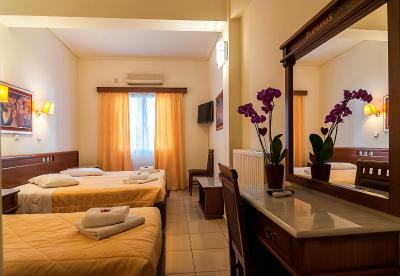 Warmly decorated suite with spa bath in the bathroom, flat-screen TV, air conditioning, safe, fridge, free Wi-Fi access, wooden roof, balcony. 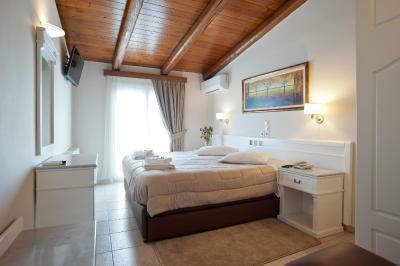 This twin room has a balcony, air conditioning and flat-screen TV. 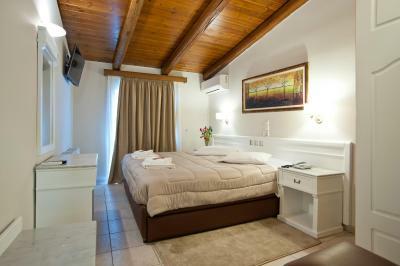 This triple room has air conditioning and a flat-screen TV. Our hotel makes a difference for handmade cakes we prepare for a hearty breakfast, and of course for the cozy atmosphere and hospitality. 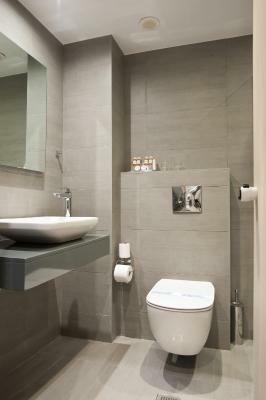 House Rules Parnassos Delphi Hotel takes special requests – add in the next step! 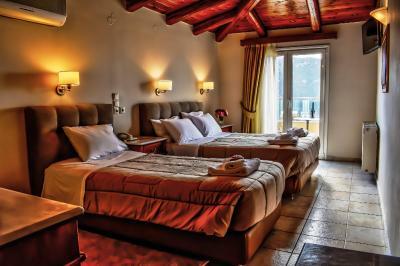 Parnassos Delphi Hotel accepts these cards and reserves the right to temporarily hold an amount prior to arrival. We got a smell for half an hour (like cigarette), most possibly because the room is located on top of the building and it would come from ventilator. In addition, sound proofing really poor and the elevator really small and slow. No parking available so be prepared to park a bit far away (100-200mt) You could have a short stay though near the hotel to carryu your luggage. Perfect hotel. 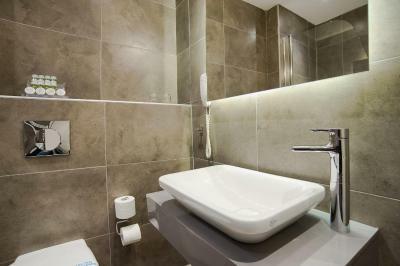 Good location, and good value for money!! The room and furniture were old. 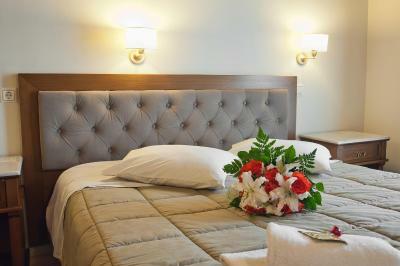 The bed linen was old fashioned and worn. The most welcoming staff and most importantly the most comfortable pillows & bed we slept on in our entire holiday to Greece. Excellent location, friendly locals, great food. Room upgrade upon arrival also. 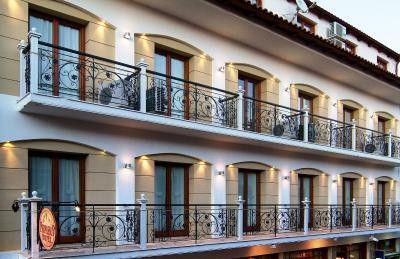 Will recommend this hotel to anyone who travels to Delphi. The hotel is at the center. Breakfast is great. There are board games available at the dining room. Hard to find a park place for the car in the street. Finally we found one 300 m far from the hotel. The personnel is really nice and help full. We arrived very late and they help me to find a pharmacist in the morning. 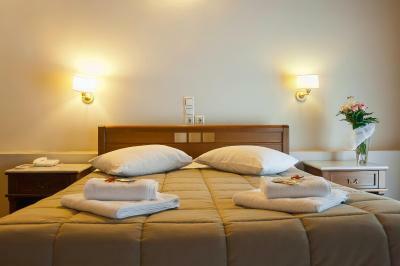 The rooms are clean and the bed confortable. They put the parents and childrens rooms very closed. Thanks !